For months, Panama had been getting ready to welcome Pope Francis for World Youth Day 2019 (WYD). The conference, which will bring an estimated 500,000 visitors, opens on January 22 and ends six days later on January 27th. The Pope will be in Panama for almost the whole conference, arriving one day after the official start, but leading the closing ceremonies with an outdoor Mass at the Cinta Costera. 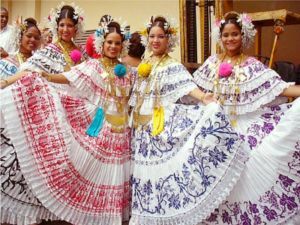 Panamanians will be wearing the traditional dress when they welcome visitors to World Youth Day 2019. Hotels are booked solid, security is tight, traffic seems more and more congested on a daily basis and every where you turn there is some visual reminder of World Youth Day. Banners, flags, plastic grocery bags, even flower gardens have new plants reflecting the WYD logo. The Panamanian pride is already at fever pitch, so I can’t imagine what it will be like when the Pope actually arrives. School children are preparing to perform indigenous songs and dances, adult women are making sure their native dresses are perfect, prayer beads are being assembled in church basements and Panamanian flags are being sorted and readied for distribution. Individuals from every walk of life are volunteering for duties that range from greeting visitors at the airport, serving as temporary tour guides, acting as liturgical staff, answering phones and supporting emergency health centers that now dot downtown in anticipation of the visitors. Young Panamanians are ready to perform their volunteer duties during World Youth Day 2019. I always thought the Pope traveled with his own Popemobile, but I was mistaken. There are many Popemobiles, including two currently sitting in Panama. According to the Vatican, it’s an honor to “provide” a vehicle for the Pope, when he visits a foreign country. There are very strict rules and exact specifications about how the vehicle is built, such as having moving steps and a 360 degree turning chair, but the visiting country has discretion about the exact make and model. Consequently, there have been Mercedes Popemobiles as well as Jeep, Range Rover and Fiat models. There are many Popemobiles, and even though there are two in Panama, neither will be able to drive up Calle Uruguay, because that multi-million dollar area is only for pedestrians. The “official” WYD 2019 Panamanian Popemobile, is a double cabin Ford Ranger XLT which was donated by Distribuidora David, a Panamanian company, who sells Ford cars and trucks. Tri-Star Central America, another Panamanian firm, designed and refitted the vehicle according to Holy See’s specifications. This Popemobile was celebrated as having been made “with only Panamanian hands” and was thought to be the only Popemobile going to WYD 2019. 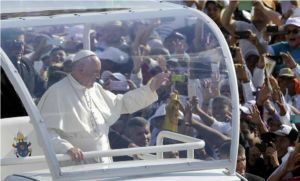 In late December a Colombian Air Force plane touched down at Panama Pacifico International Airport and delivered another officially sanctioned Popemobile. It was a gift of the bishops of the Colombian Episcopal Conference. They said they sent it to be in solidarity with the Panamanians. This new Popemobile was a Chevrolet, donated by a different religious group from a country other than Panama. Everyone smiled when it arrived but the archbishop of Panama, José Domingo Ulloa, told the press the second Popemobile was “a surprise” and the Panamanian vehicle “will be the official one”. I’m going to be watching closely to see if the Chevrolet ever makes an appearance! The one thing concerning the Pope’s arrival I have been watching closely is the progress on the new $28 million pedestrian mall which has always been slated for completion prior to the Pope’s visit. From my vantage point the new project is coming along nicely, and like everyone else, is getting ready for the Pope’s visit. After everyone has left, this urbanization project will become the epicenter of Panama City’s night life. There will be open-air restaurants, upscale retail and a mix of residences, but the one thing it won’t allow for, is the Popemobile making its way up the street. It’s just for pedestrians! 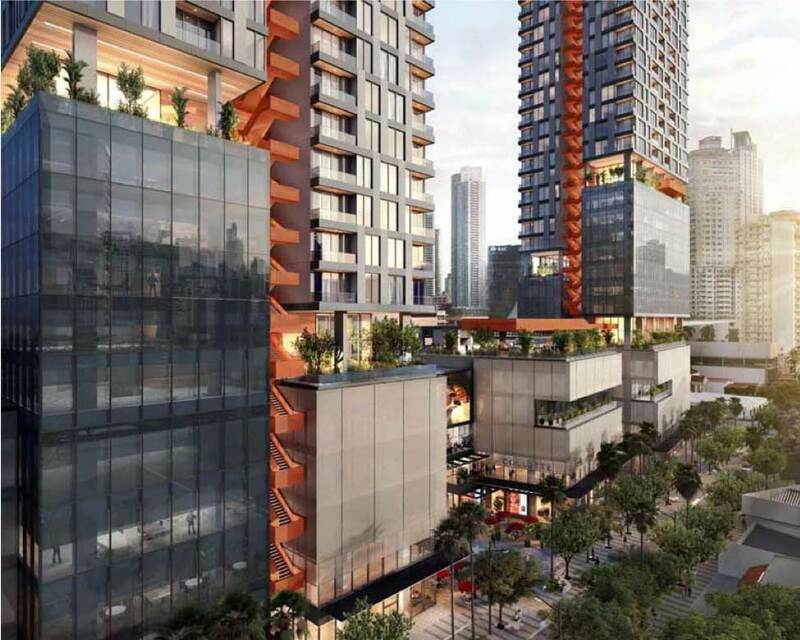 Patterned after the Lincoln Road Mall in Miami, this new area, will be the first “Smart City” in Latin America. The $28 million urbanization project will welcome the Pope and his 500,000 friends, but that will just the start of what will become an amazing addition to the capital city. Uptown is the new residential complex which will be built within the urbanization area. This two-tower ultra-modern structure has been granted a special license for short-term leases, allowing condo hotels and rental units along with all the conveniences of a hotel in apartment-style living. One tower will be devoted to short-term rentals while the second will be devoted to long-term rentals and full-time residents. Uptown will anchor the new structure which got a head start toward completion because Pope Francis came for a visit. Because there is simply not a lot of space left for massive residential towers inside Panama City, Uptown has been receiving a great deal of attention from investors and new residents alike. I only wish we had a few units ready to rent, as I hear visitors to WYD 2019 are booking in Coronado and Nueva Gorgona, which is 50 miles outside the city! There is no question, Panama is once again enjoying being on the world stage. That being said, managing this historic event has had its challenges. Fortunately, schools in Panama are out for winter vacation but the US Embassy is closing entirely during the WYD 2019 celebration. “Due to operational concerns related to World Youth Day and the Pope’s visit, such as unusually congested traffic and road closures in the vicinity of the Embassy and throughout Panama City, the Consular Section at the U.S. Embassy in Panama City will temporarily close…” the embassy staff told US Citizens via email. The Canadian Embassy, located in the middle of WYD 2019 activities in Punta Pacifica, seems to have more of an appetite for crowds and will remain open. Getting Used To The World Stage! After Panama’s appearance this summer in the World Cup and the president of China stopping by in December to sign a number of trade agreements, many citizens are feeling Panama has finally arrived. This year will mark 20 years since Panama reclaimed the Panama Canal and gained the upswing in monetary profits. The Pope’s visit is just one more indication that Panama is rapidly becoming a world player. I love all the national attention and am very happy the world is beginning to see just how special Panama has become. Next Post Hello 2019 And Thanks 2018!